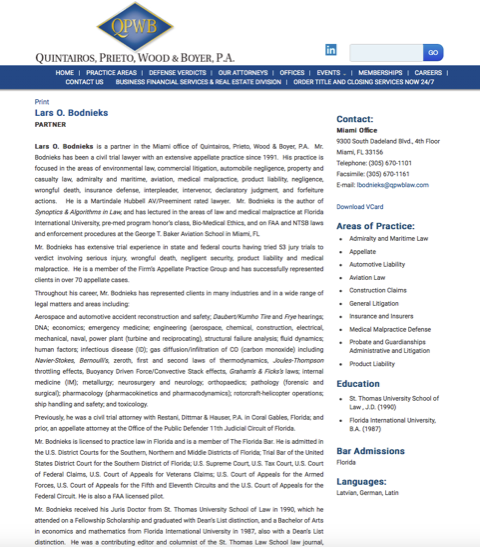 MIAMI ― Lars O. Bodnieks, James J. McNally and Alexandra Castro, attorneys in the Miami office of Quintairos, Prieto, Wood & Boyer, P.A., represented their client on allegations of disparaging and defamatory posts about the plaintiff, a pharmaceutical company, on a Yahoo Finance Message Board. The plaintiff, a Delaware Corporation, with its principal place of business in Florida sued for defamation via publicly-accessible websites. Plaintiff alleged the defendant published false and defamatory statements in Florida about the company and its Florida executives to third parties but no details were provided on who the third parties were that had accessed the statements. The defendant made his post from Houston, Texas – where he lived; he moved to dismiss for lack of personal jurisdiction and the court granted it, finding the plaintiff failed to allege enough facts to establish personal jurisdiction under Florida law. An amended complaint from the plaintiff was filed claiming defamation under Florida law and declarations from three of its shareholders saying they had accessed defendant’s posts on the Message Board. Here, the court referred to Florida’s long-arm statute asserting that a claim must show that the purported defamatory statements were not merely accessible to but also accessed by a party in Florida. While the allegations may establish defendant’s statements were accessible in Florida, they do not point to any facts showing the statements were accessed in Florida. The court concluded that posting defamatory material on a website alone does not constitute the commission of a tortious act within Florida that the plaintiff is also bound by Florida’s long-arm statute. The court affirmed the district court’s dismissal for lack of personal jurisdiction. Catalyst Pharmaceuticals v. Fullerton, no. 17-15196, — F.3d —-, 2018 WL 4211595 (11th Cir. Sept. 5, 2018). 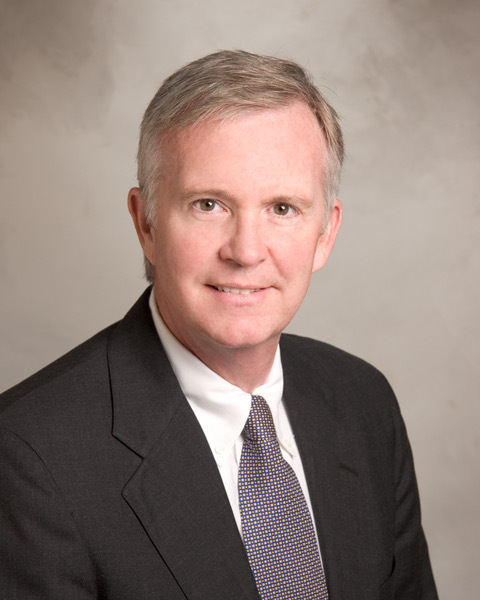 James J. McNally is a partner with 38 years of experience in civil and commercial litigation. He serves as general counsel to several national and international insurance companies and has litigated well over 200 jury trials to verdict. He has successfully represented corporate clients as lead counsel in jury and non-jury trials, arbitration and mediations in state and federal courts. He is awarded an AV/Preeminent rating from Martindale Hubble Law Directory. McNally received his law degree in 1980 from the University of Maryland School of Law. He is licensed to practice law in Florida and Maryland and is admitted in the U.S. District Courts for the Southern, Middle and Northern Districts of Florida, and the U.S. Court of Appeals for the Eleventh Circuit. 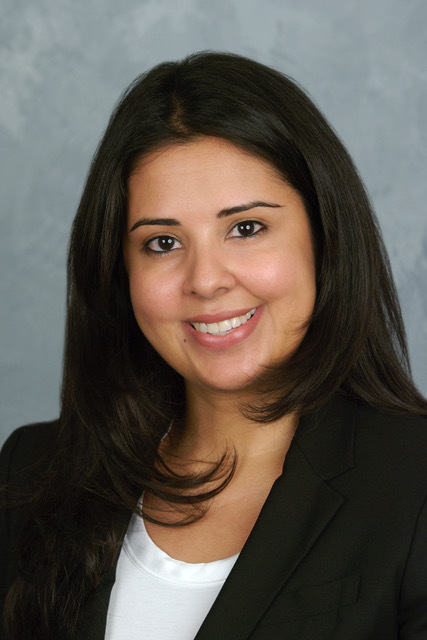 Alexandra Castror is an associate in the Miami office focusing on general liability, premises liability, negligent security, medical malpractice and labor and employment. She received her law degree in 2002 from Nova Southeastern University, Shepard Broad Law Center and is admitted to practice in Florida and Massachusetts.